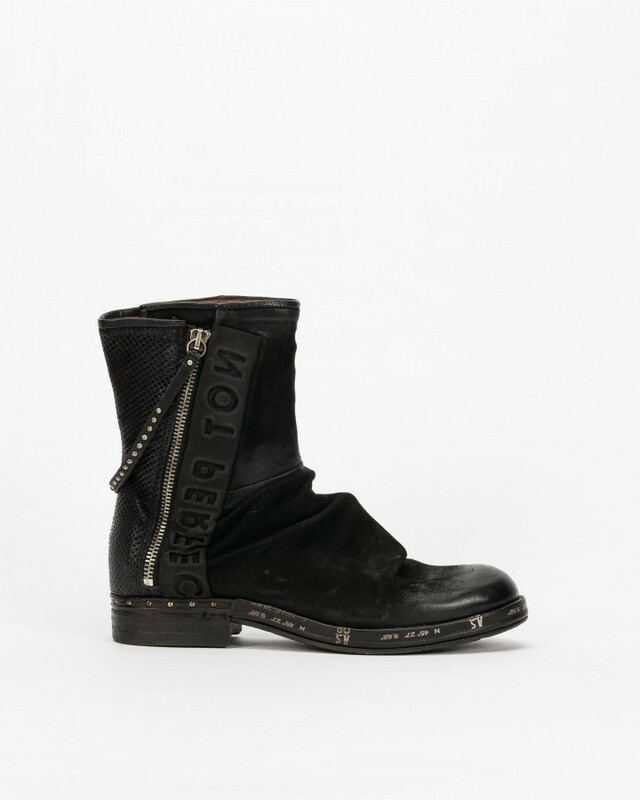 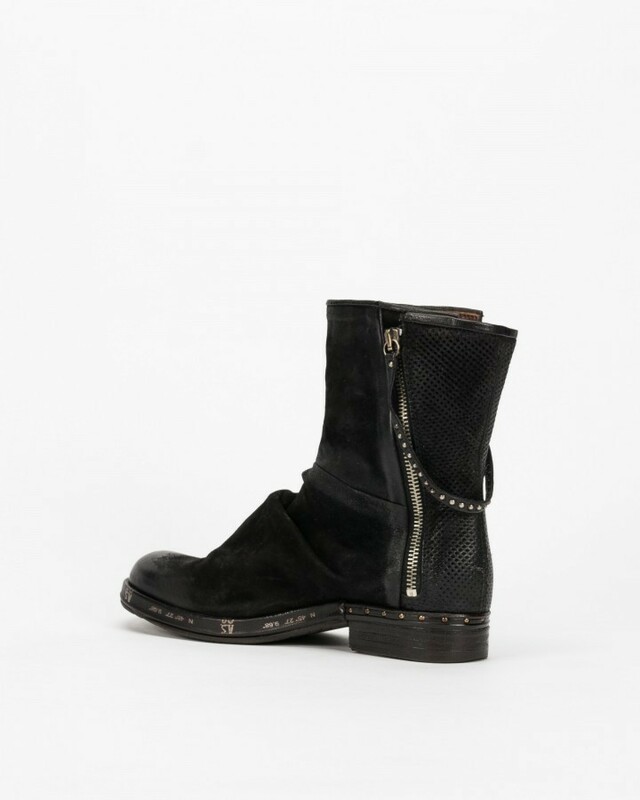 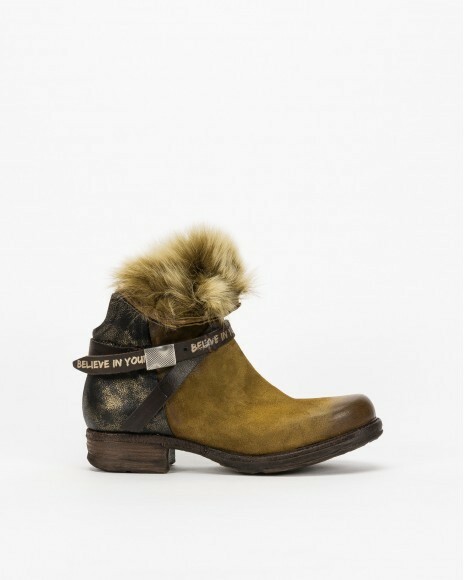 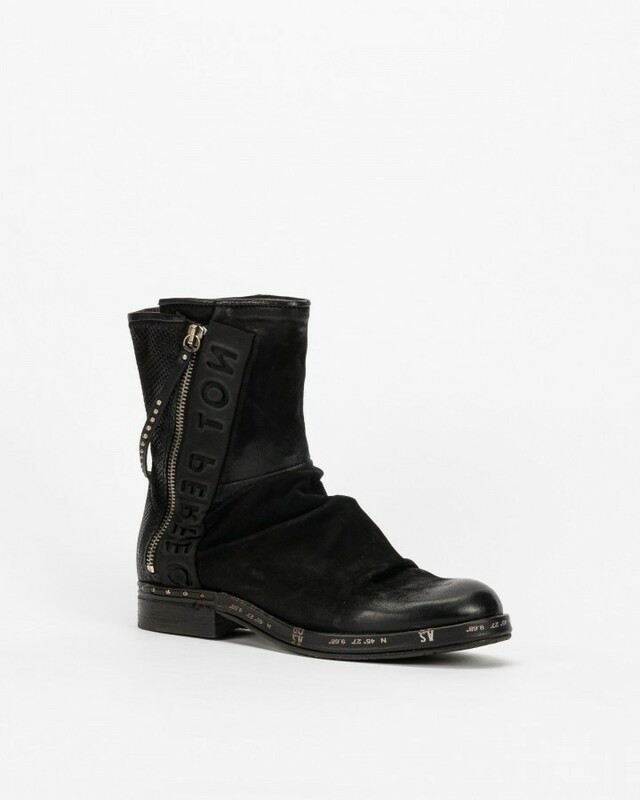 Italian brand A.S.98 ankle boots for women in black leather, suede and fabric with leather strap detail and zippers on the sides. 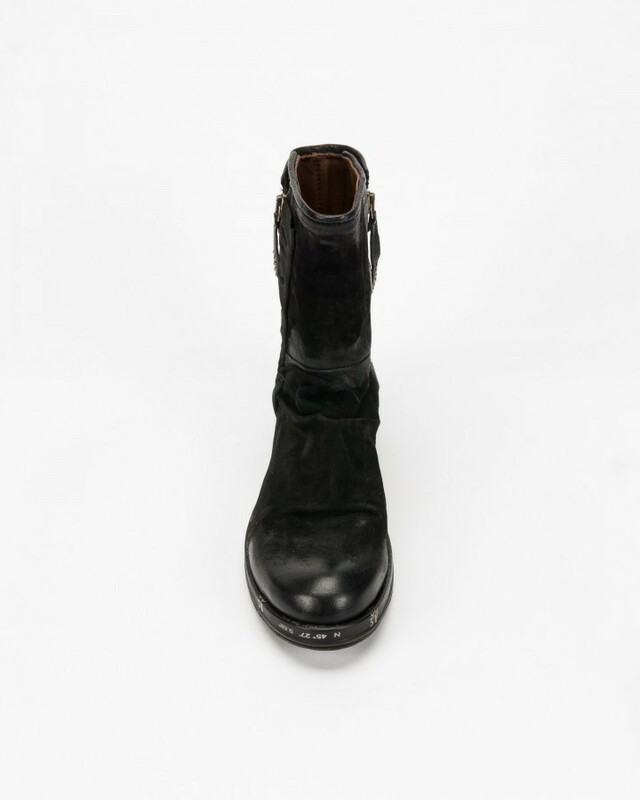 Leather insole, leather lining and rubber outsole. 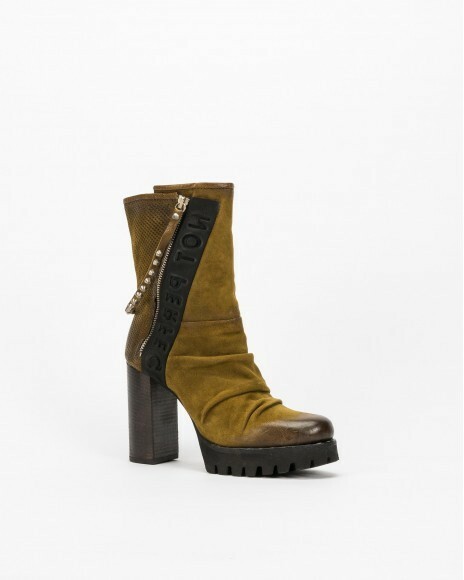 3 cm low heel, 1 cm platform and 18 cm shaft height.